Scottish students are graduating with the highest marks in the UK, with almost four out of five women achieving first-class degrees. 77% of female graduates finish with a first or upper second degree compared to 71% of male students . Northern Ireland saw the biggest gender gap, with 72% female versus 60% male. Scotland is ahead of England, Wales and Northern Ireland in terms of those leaving universities with a first-class degree or 2:1 in 2014, according to data from the Higher Education Statistics Agency (HESA). Around 79,440 graduates gained a first in 2014- nearly 10,000 more than in 2013. A total of 74% of Scottish students left university with a first or upper second degree, compared to 71% in Northern Ireland, 70% in England and 65% in Wales. However, statistics point to a decrease in overseas students from some key countries studying in Scotland, blamed on changes to immigration rules introduced at Westminster. A new system, the Higher Education Achievement Report (HEAR), is being investigated by some universities as a way of giving students a more detailed record of their achievements alongside their degree classification. 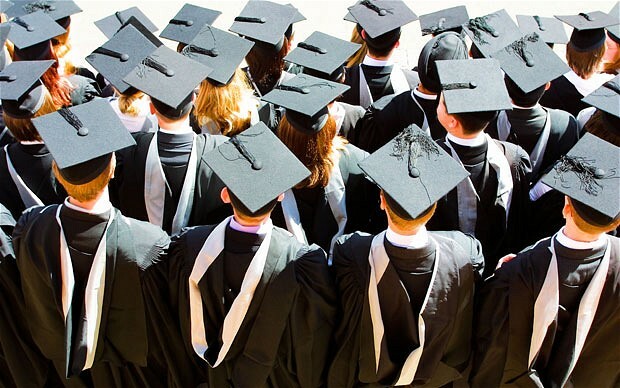 “However, the sector has recognised for some time that the current degree classification system is a blunt instrument, hence the trialling of the Higher Education Achievement Report and grade-point average system at a number of universities. The total number of UK students at Scottish universities decreased by one per cent, while non-EU domiciled students rose by one per cent. The biggest number of students from the rest of the EU came from Germany, and from China in non-EU countries. The number of first year Indian student enrollments dropped by 12%. Universities Scotland renewed calls for a post-study work visa to keep international students in the country after graduation. Alastair Sim, director of Universities Scotland, urged the government to take action in order to improve Scottish universities post-study work offer.